Have You Paid Your Income Tax ? Today is the deadline of Income Tax Return Form (BE 2009) submission for for individuals without business source, and employment and other incomes (Does Not Carry on Business). And for those who has business (Form B 2009), your due date is 30th June 2010. If you haven’t submit your form yet, please stop here and quickly visit the nearest IRBM branch or submit via e-hasil online. Below is the link of the directory and branches information of IRBM which you can find the nearest branch. After submission, please do not forget to obtain a receipt and verification which certify you have submitted. Beside that, you can also write down the name of person in charge who receive and accept your submission form, his/her position in branch and official stamp. We hope all of you who required to submit the Form BE had already submitted, this post is just a warm reminder for you. How to Register a Tax File with IRBM ? 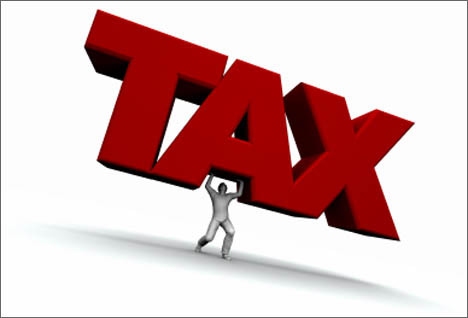 How to Make Payment to Income Tax? This entry was posted in Banking & Finance and tagged Individual Income Tax, pay income tax, Type of income on April 30, 2010 by RMvalues. 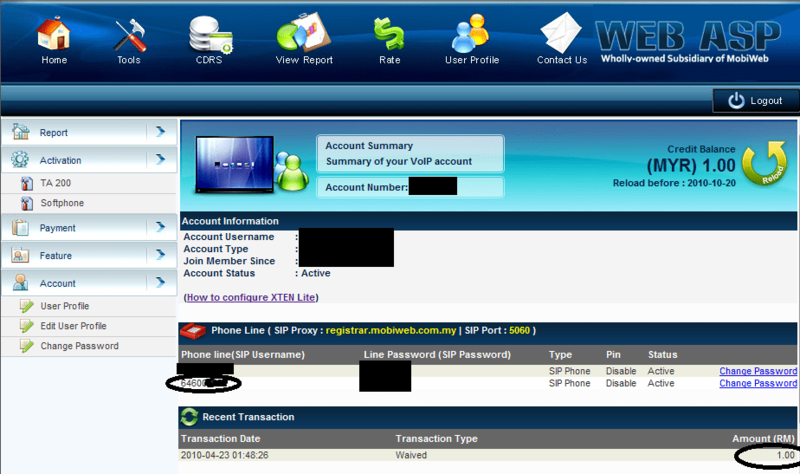 Today we will share a new VoIP company from Malaysia with you – AlienVoIP. AlienVoIP established in year 2009 by MobiWeb. The headquarter of AlienVoIP is in Penang, Malaysia. From the first day of our VoIP post, especially the Skype post until now, you may be curious, why the company and VoIP providers we recommended become less and less famous, today we even recommend you AlienVoIP which you probably never know before. Why? Before we tested AlienVoIP, we used to have same idea with you, but as soon as after we tested their VoIP service for few months from different locations to different destinations, we have changed our mind that, this local company have done their best efforts to provide the quality service. Before we share our experience with you, let’s us briefly tell you their rates and other condition or charges. 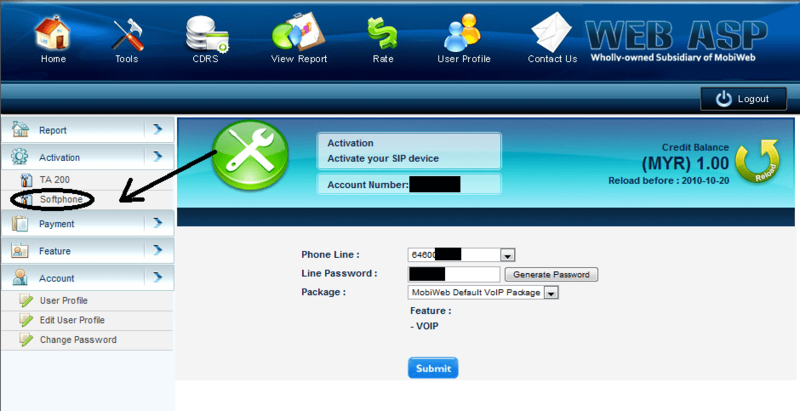 AlienVoIP itself doesn’t provide any sms service, but their sister company iSMS do offer cheap SMS service. Unused Credit will be expired if no any reload activity from the past 180 days. Minimum top up amount is RM 20. Payment method includes PayPal, Malaysia Local Bank Transfer, and charge/credit/debit cards. AlienVoIP call software unlike Skype, DellMont, Betamax, or Globe 7, just install and login to use, but it require some knowledge or guide to set up the setting in order to start your first call. During several months of testing and using, most of the time (~95%) we get very smooth and high quality call, and we can talk as normal as normal phone call. You can understand our ‘feeling’ if you are Skype users, and AlienVoIP service really can compete with Skype quality. When we compare AlienVoIP with Skype in pricing, AlienVoIP is far cheaper than Skype pay as you go plan, especially AlienVoIP no connection fee, and you can save a lots of money from it. AlienVoIP offer very convenience payment method, unlike Skype, Globe 7 or other international VoIP providers, you will need to pay via credit cards or PayPal, but AlienVoIP also accept bank transfer. You just need to go to bankin money or use internet banking facility to transfer to money and your account will be top up later. The only problem is you might have to wait up to 1-2 working days to get the reload pin. Beside that, you have to carefully adjust the microphone volume (as show below). Based on our experience, 1/3 is the best heard. For us, if adjust to full, the other side will not hear our voice. However, this can be different from one to one. So we recommend you make a first test call or adjust the microphone volume during call to find the best setting for your own. Although this is a bit difficult in set up the software setting, but it’s worth if you can get a quality service with low cost. Oh ya, currently AlienVoIP is offering free trial credit (RM 1) for you to test drive their service when you register for an account. iSMS also offer 5 free sms credit, test it before you buy! This entry was posted in Communication and tagged AlienVoIP, call cheap, free trial, voip call on April 29, 2010 by RMvalues. Unlike Skype, DellMont, Betamax, Globe 7 and many other VoIP service providers we will share with you later, MediaRing Talk call rates are not only based on which destination country you are calling to, but also based on from where you are calling it. Several VoIP providers we have discussed with you in this few days and majority of the VoIP providers in the world, their charges only based on where you call, but not count along with from where you make the calls. Today, we will share this special VoIP provider with you – MediaRing Talk. Why only share this company but not other similar charges based providers too? This is because MediaRing Talk is from our neighbour country – Singapore, and many Malaysian are using their service. We are not offense to them or any other VoIP providers, but we are comparing the services with you and aim for save money – as purpose or established of RMvalues. From what you can see, the call rate, especially to Mobile is ‘very expensive’ if we compare to DellMont, Betamax, Globe 7 and so on, but is a bit cheaper than Skype, because they are not charging the connection fee. We have tested MediaRing Talk for few weeks and we found that, their call quality is above average and quite good. Although the price is little bit expensive and different especially if you are not calling from Malaysia, but it’s still affordable. But based on our observation, there are not rate change of from where the calls made. 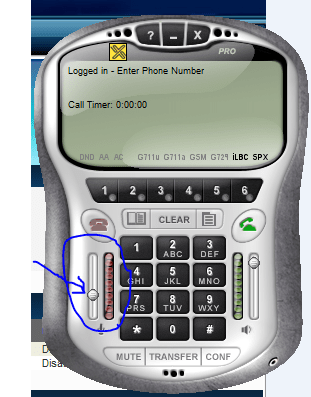 Beside that, you can make conference call to up to 5 persons, this facilitate you especially if you are using VoIP for business or conference calls, this unique feature is many VoIP providers do not offers. Good for Business which always required conference call or online meeting. This entry was posted in Communication and tagged call cheap, free calls, MediaRing Talk, VoIP calls on April 28, 2010 by RMvalues.